This week’s podcast features David Smith-Collins, whose strong reputation as an innovative change leader stems from his days in the police service, wherein he rose to the rank of acting Deputy Chief Constable. David is now a successful leadership consultant and executive coach based in Bahrain. During this episode, David draws on all of these experiences to consider how organisations can become more future proof and how leaders can maintain agency and resilience to inspire successful change. The podcast explores many of the practical challenges – personal and organisational – that often get in the way of the effective delivery of change projects. It also touches on David’s experience of swimming against the cultural tide and the importance of turning structures on their heads to take everyone with you towards a goal. 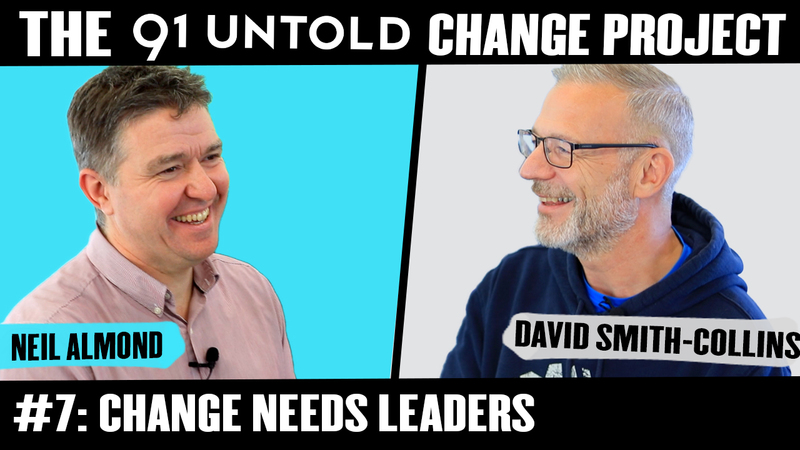 David is an authentic leader with the experience of leading 1000’s of staff through change processes, and it is this experience that Neil is determined to tease out to inform the 91 Untold Change Project. Executive Coach and Leadership Mentor; He also teaches others to coach and mentor through programmes which have been accredited by globally recognised bodies. International Speaking; His special areas of interest include leadership and management, coaching and mentoring, all areas of executive development. Strategist; David has worked as a leading strategist in a wide range of areas for many years. He has worked on Government working groups and corporate development initiatives in the public, private and third sectors. Corporate Consultant; David is an experienced senior consultant with a team of highly qualified and experienced team behind him. His ability to rapidly analyze and produce solutions for organisations and then successfully deliver change is re renowned. Police and Security Specialist; As a serving Police Officer for over 30 years in the UK it is not surprising that David is regularly called upon to support and advise Police Forces across the globe. In the UK David rose Chief Officer Rank serving in three forces and Her Majesties Inspectorate of Constabulary. He retired having achieved the Rank of Assistant Chief Constable in North Yorkshire Police having spent a considerable length of time as Acting Deputy Chief Constable there. He has been commended several times for his investigation and crime reduction skills and he was awarded the Royal Human Award on Vellum by Princess Alexandra for acts of bravery. He has also worked in other countries on various projects, secondments and missions including Holland, Rumania, Bahrain, South Africa, Singapore and Canada. He has worked as a consultant for the Council of Europe on numerous Policing matters.